Having a Master of Divinity degree in theology from Southwestern Baptist Theological Seminary and a Master of Arts degree in counseling from LSU, Ken is equipped to integrate spirituality and the counseling experience in a unique way. Over 25 years of service as an ordained minister, and 15+ years of counseling in private practice result in a desire to assist families as well as individuals in seeking the best life has to offer. A marriage of 39 years and two adult children attest to his commitment to family. Ken is a member of the American Association of Christian Counselors, the American Counseling Association and the American Association of Marriage and Family Therapists. He is available for speaking engagements for organizations, addressing a variety of topics ranging from individual issues to relationships in personal life and in the workplace. 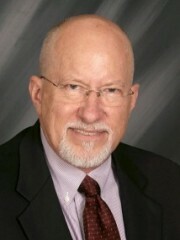 Comments on a variety of issues along with resources can be viewed on his web site at KenSneed.com. Ken accepts check, cash, and credit card payments.